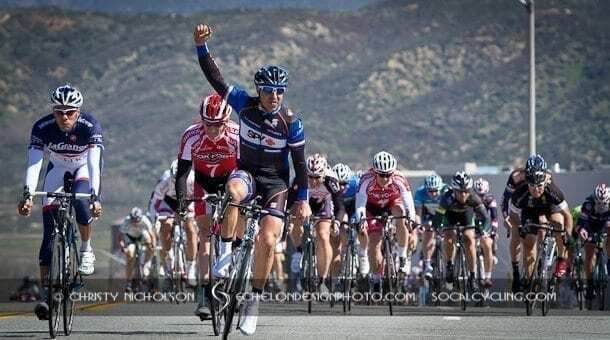 Results: Rosena Ranch Circuit Race - SoCalCycling.com - Southern California, Cycling, Cycling News, Amgen Tour of California, Bicycle Racing, Fun Rides, Cycling Event Schedules, Mountain Biking, Cyclocross, Cycling Photos, Cycling Videos, Interviews, Product Reviews. The Rosena Ranch Circuit Race offered riders a chance to race on a nice road circuit that consisted of a 3.74 mile loop with elevation gain of 1950 -2150 feet and grades of 2.5 -3.7 %. The course runs along the 15 freeway near Glen Helen which is known for some good cross winds as the day goes on.